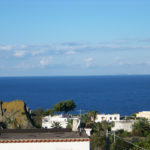 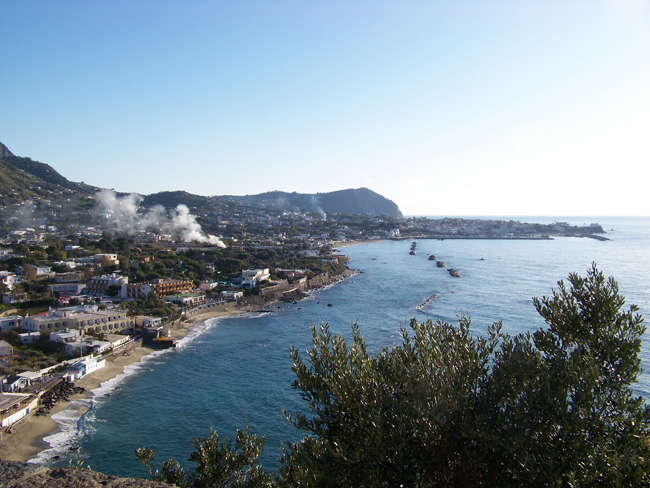 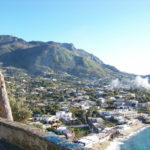 In the town of Forio d’Ischia, Casa Pitecusa is composed of two apartments (Plinio and Ovidio) which are fully accessible. 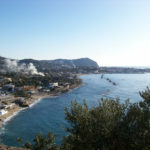 Casa Pitecusa is located in Cuotto – Cimmentorossodistrict, about 3.5 km (2.2 miles) from the town centerand about 4 km (2.5 miles) from the beach of Citara (so named to pay homage to the goddess Venus, Cythera)and the Gardens of Poseidon. 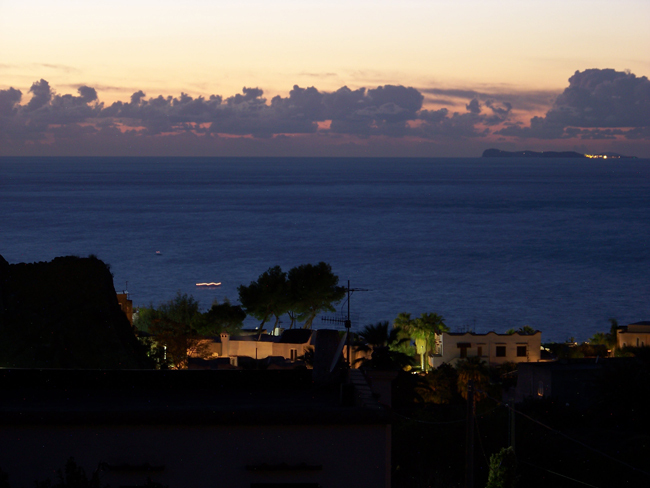 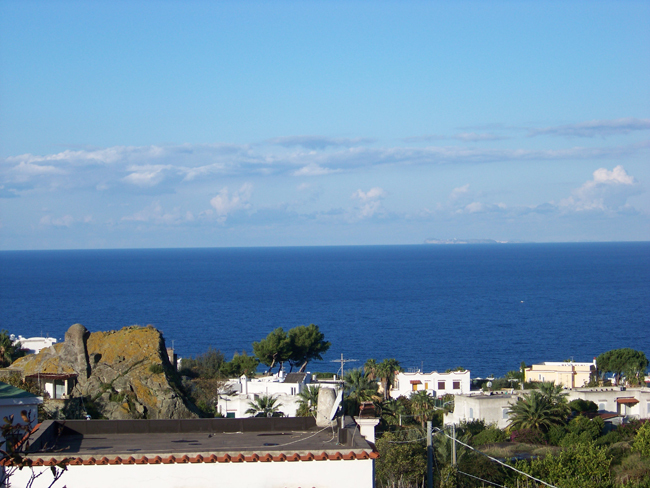 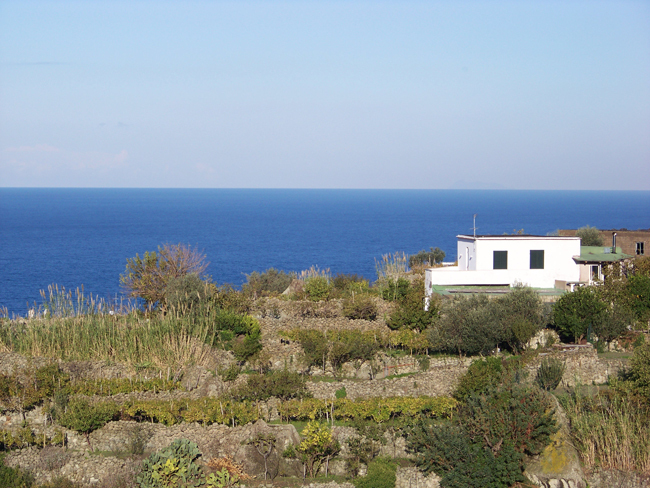 From its position on a hill, surrounded by oranges,pomegranates, olive trees, you can enjoy beautifulsunsets and on clear days you can see, looking out thebalcony of the apartment on the 1st floor,the Ventotene island. 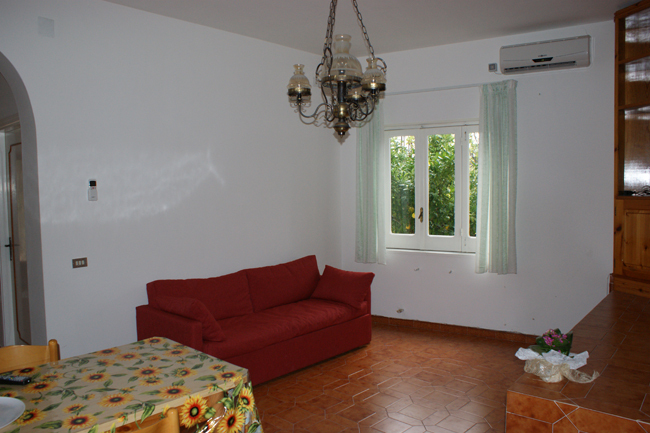 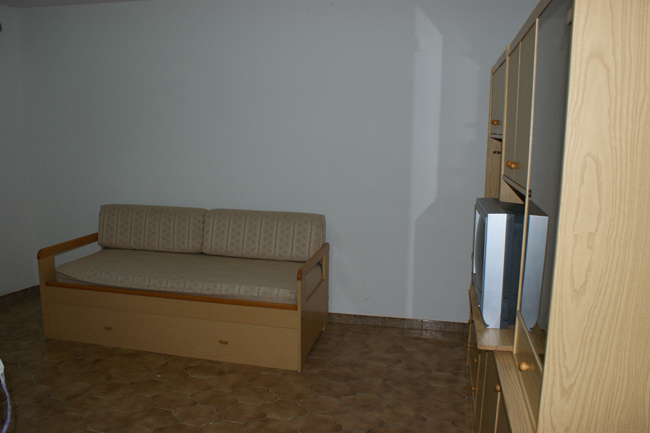 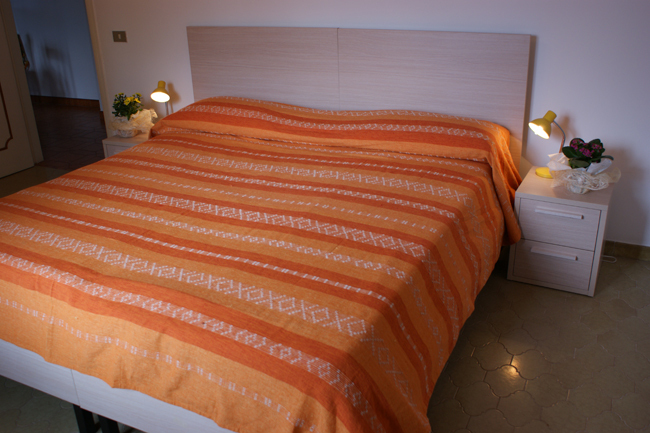 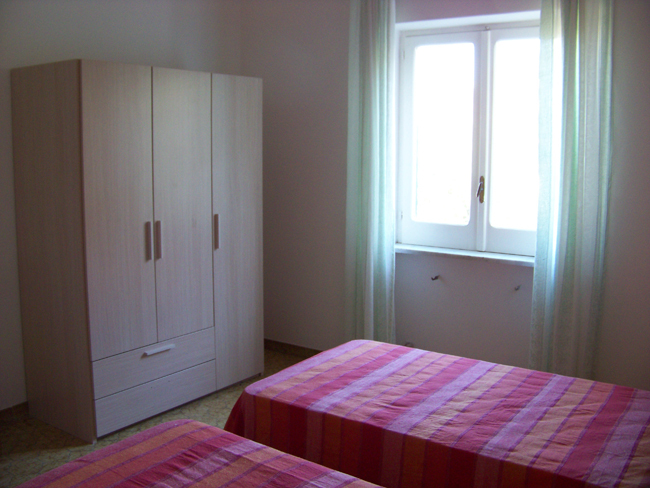 Casa Pitecusa consists of two apartments: one on the ground floor (Ovidio) and one on the 1st floor (Plinio). 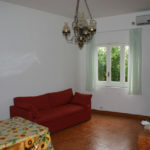 You enter a spacious living room with a sofa bed for two people and continue down the corridor to the two bedrooms which both have twin beds, kitchen (without oven), dining area, an accessible bathroom and a balcony. 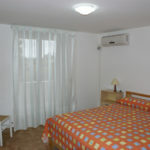 The bedrooms and living room are equipped with air conditioning and heating. 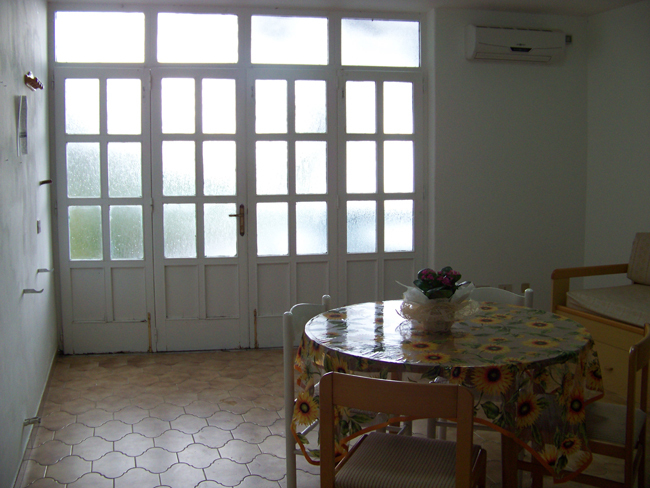 The large open area outside the door, allows you to position a rocking chair and enjoy the freshness given by the evening. 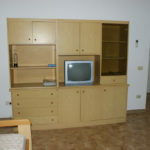 The apartment is equipped with TV, washing machine, ironing board and blankets. 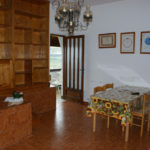 The apartment upstairs is reached by a ramp that starts from the courtyard below, with a fairly challenging slope: an electric wheelchair has no problem, a manual wheelchair needs help. 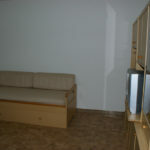 You enter a corridor that leads into a large and bright living room which has a sofa with two beds. 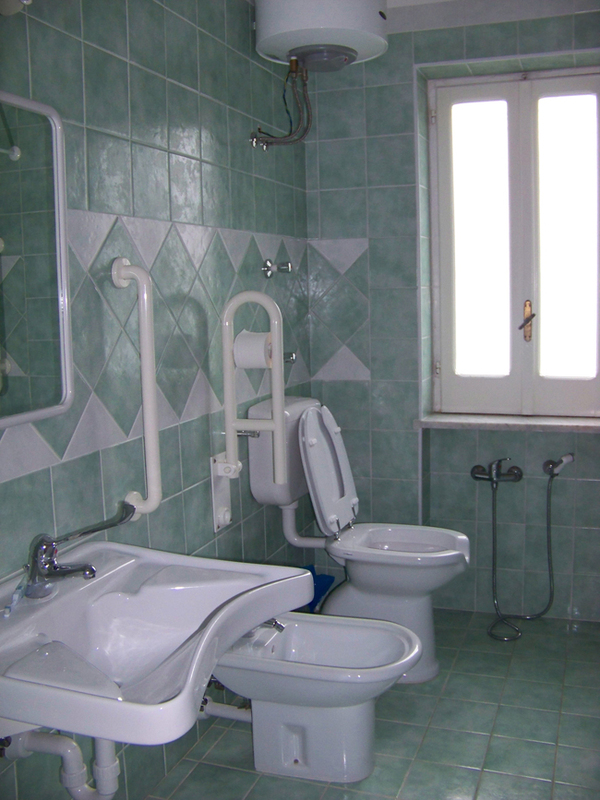 The kitchen is accessible to people on wheelchairs. 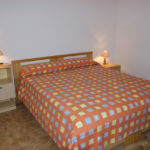 One bedroom has two single beds which can be combined to become a double bed, meanwhile another bedroom has a double bed, which can be split in two twins. 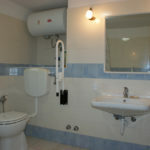 The bathroom is equipped and accessible. 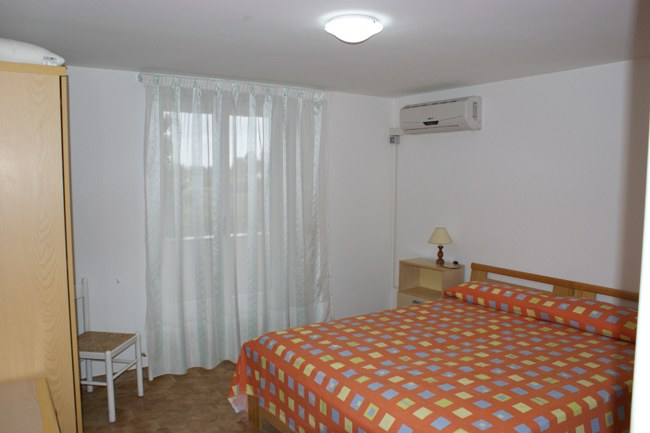 The air conditioning and heat pump in winter, are located in both bedrooms and living room. 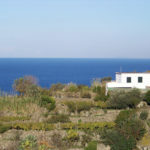 The balcony has large windows, shared by the living room and kitchen, offering a breathtaking view of the sea and the hill below, where you can see houses built in stone. 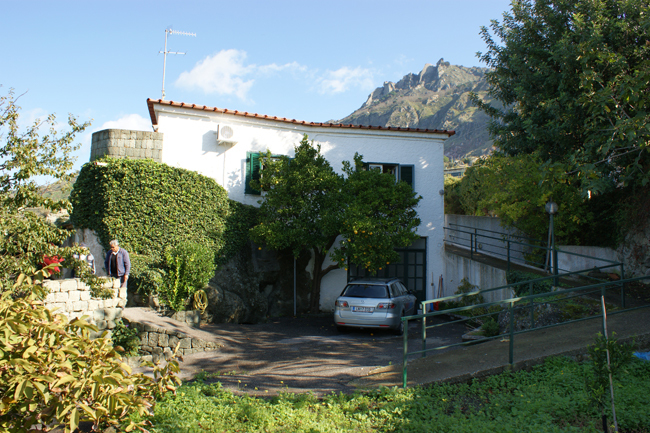 Going upstairs, thru a stone staircase, you can reach the balcony, from where you can see the promontory of Punta Imperatore and Mount Epomeo. 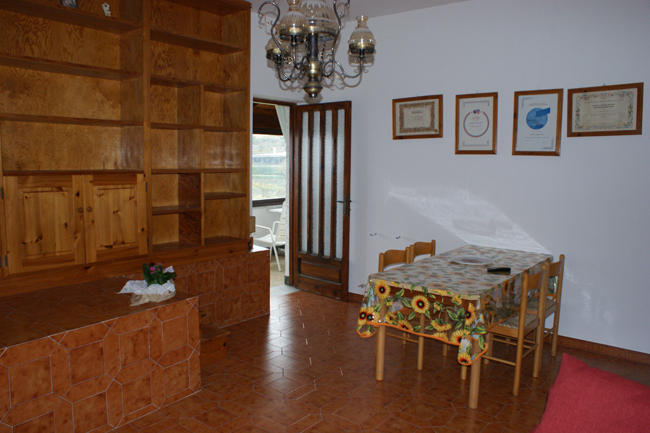 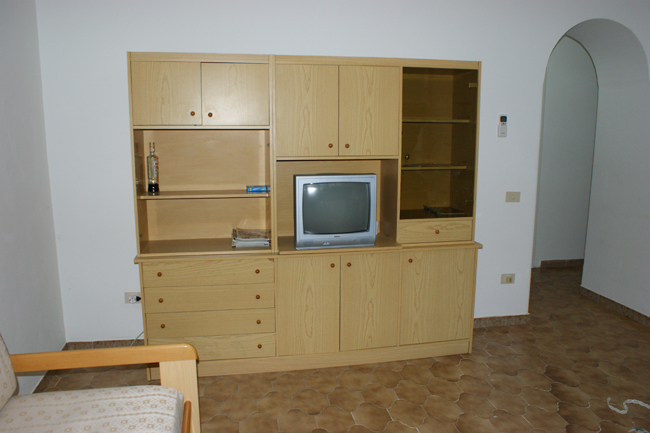 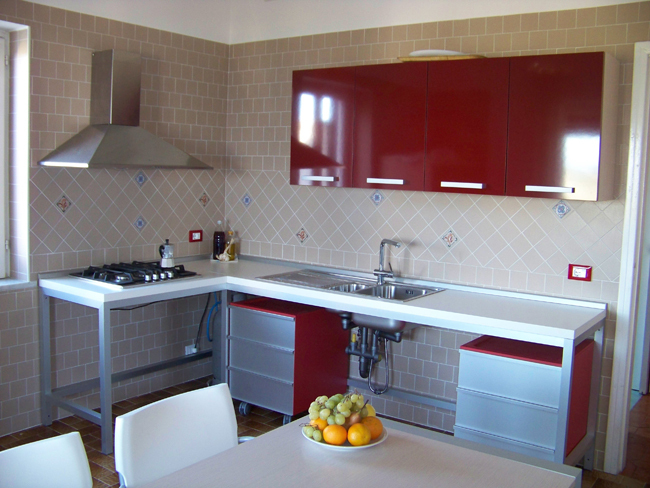 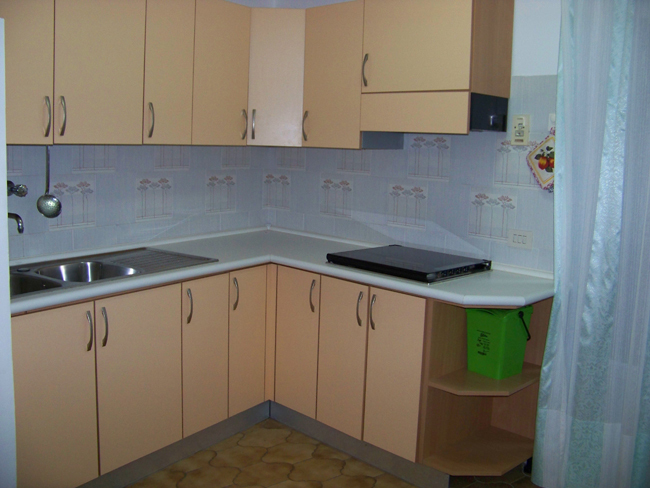 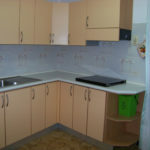 Both apartments have been renovated and furnished with taste and elegance. 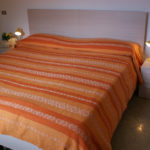 A structure designed to make your stay comfortable and memorable. 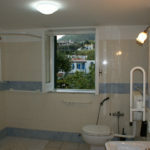 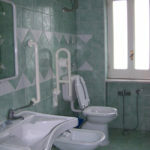 The recent renovation made Casa Pitecusa a beautiful property, making them also accessible to peoplewhith limitd mobility. 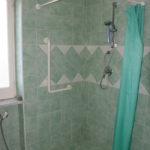 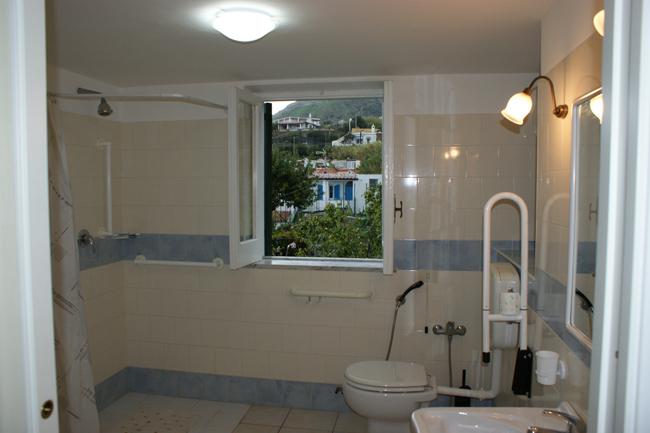 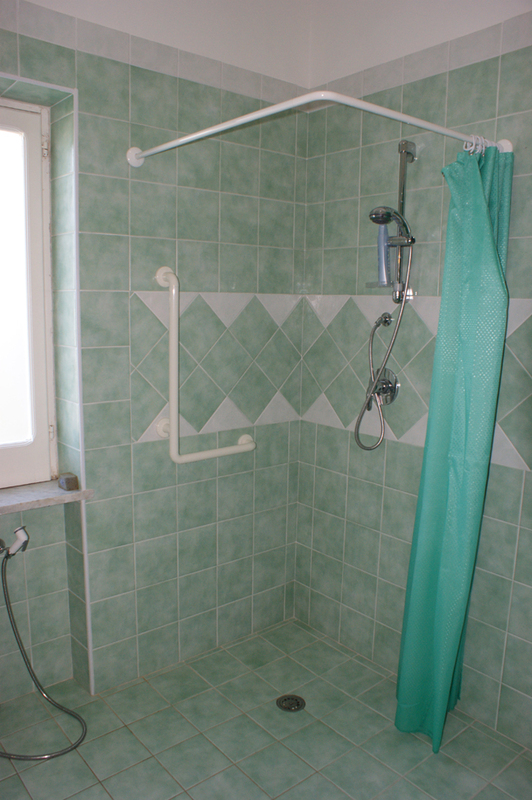 Both apartments (Plinio and Ovidio) have bathrooms equipped with all necessary aids, grab bars neartoilets and showers, the showers have been made with a non-slip floor and the sinks are shaped andwithout pedestal. 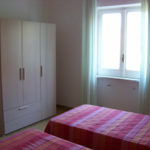 The rooms are spacious, bright and comfortable. 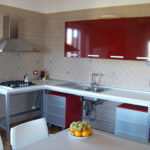 The kitchen of the Ovidio apartment at the first florr isequipped with space under the sink and under stove that allow it to be used by people with limited mobility. 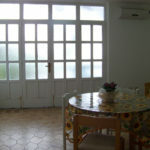 The achievement of the balconies is not difficult. 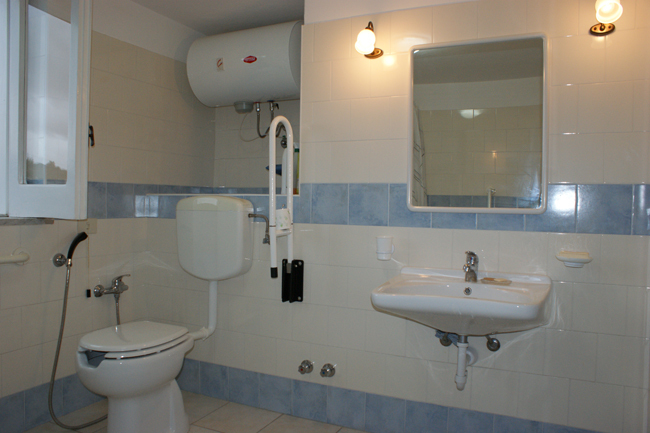 The Plinio apartment, in the portion of the corridor to reach the bathroom, is equipped with handrails, due to a light slope. 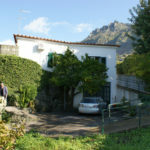 To reach the apartment on the first floor there is a ramp that starts from the courtyard below with aslope quite challenging: an electric wheelchair has no problems, a manual wheelchair needs help. 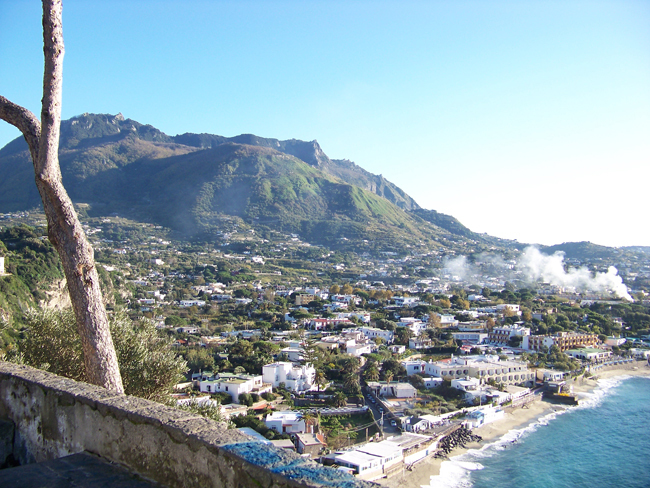 Ischia is a beautiful little island and its streets are narrow and winding. 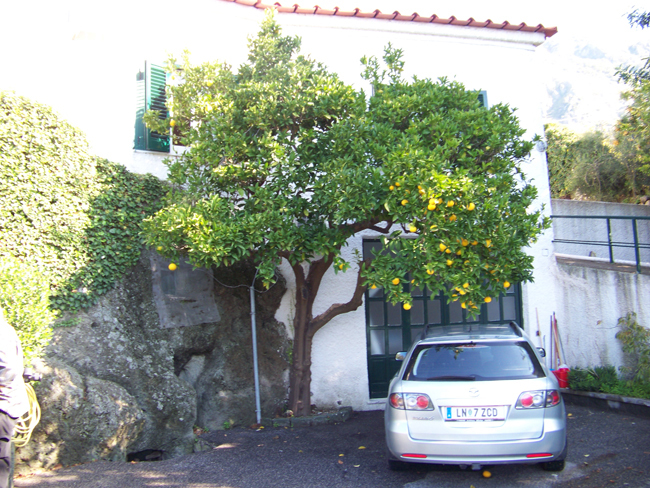 Also the access road to Casa Pitecusa is very narrow and steep, so it is drivable only with small cars. 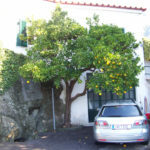 With small cars we mean those that falling within “A-segment” as for example: Panda, Mini, 500, etc. 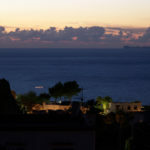 With cars bigger than those, the road is practicable by experienced drivers, but however with great difficulty, especially at night because the road is not illuminated.